Star Maintenance LTD offers a variety of new and used equipment. 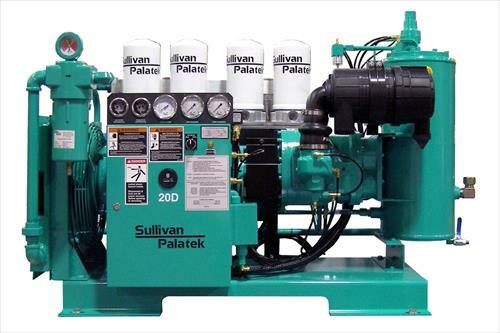 We also represent Saylor – Beall for piston pump air compressors and Sullivan Palatek for rotary screw air compressor sales, service and installation. For over 30 years, Star Maintenance LTD has been providing industries with exceptional service & maintenance for air compressors, refrigerated air dryers, forklifts, material handling equipment and consulting in your plant’s requirements. If you have interests in saving money on used warehouse equipment or want to sell some of your unneeded equipment, give us a call at 215-723-0540 Search our wide inventory for the equipment you need. Call today for a quote or more information. 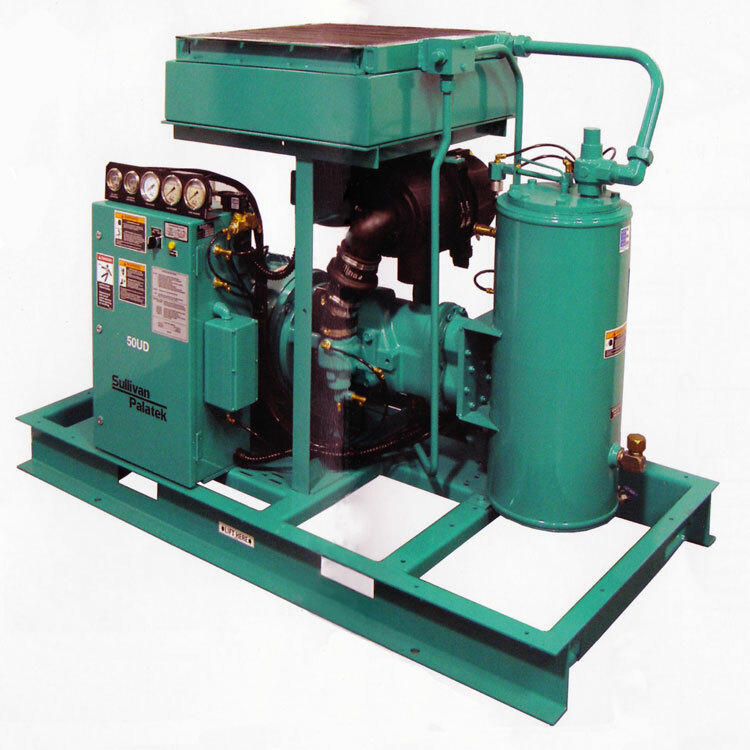 In addition to serving as a valuable warehouse equipment sales resource, we can also provide comprehensive air compressor service. You can count on Star Maintenance to perform timely repairs of all your equipment to keep any downtime to a minimum. Star Maintenance can also provide useful maintenance and troubleshooting tips to keep your air compressors and other equipment up and running. Star Maintenance can become your trusted advisor for anything and everything pertaining to your warehouse equipment and tools. 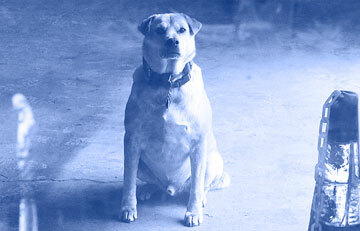 Buddy, our on-site dog helps guard the premises and assist with the day-to-day activities of the warehouse. There is not much that goes on that Buddy is not willing to assist with. He is mostly involved with the greeting of all personnel, clients and business associates. …of industrial warehouse space. Our stock includes but is not limited to: pallet racking, steel shelving, wire shelving, part bins, plastic crates, box sealers, platform carts, tool carts, stainless steel carts, …and many more items. Call for information. Thank you for visiting STARMAINTENANCE-LTD.COM, your trusted source for warehouse equipment and air compressor service. 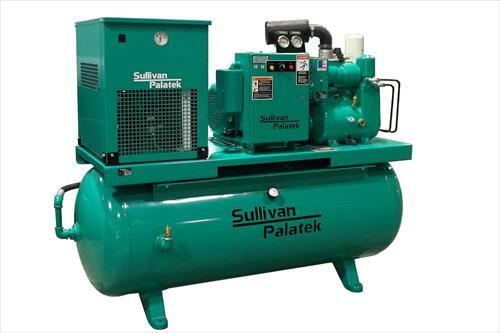 Here at Star Maintenance we are authorized distributors for 2 brands and styles of new air compressors, Saylor Beal and Sullivan Palatek. 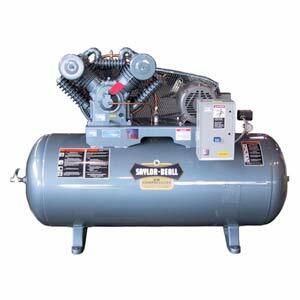 Saylor Beal company manufactures American made piston pump style air compressors in their state of the art manufacturing plant in Indiana. 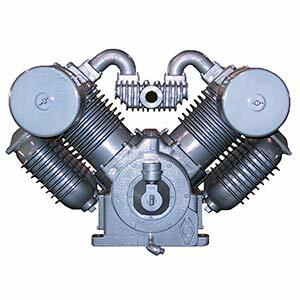 These compressors are designed to provide many years of reliable service for your general compressed air needs. They provide shipping directly to your shop crated and ready for installation. 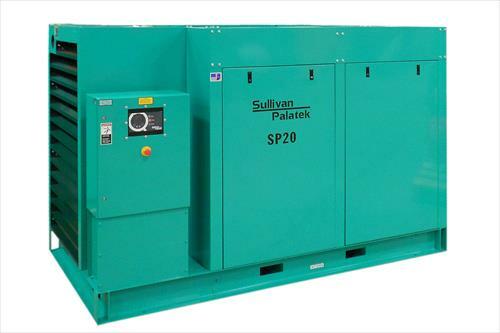 Sullivan Palatek company manufactures American made rotary screw style air compressors in their state of the art manufacturing plant in Michigan. 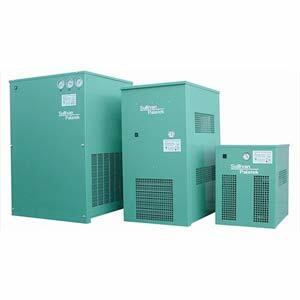 These compressors are designed for the needs of many of the machine technologies industry and provide a quiet constant supply of compressed air. 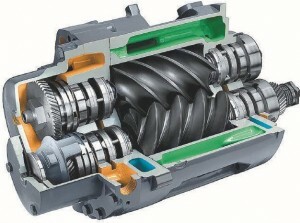 This style compressor is available with or without a sound reducing enclosure and is also available with a variable frequency drive that will cut down on your electric bills by slowly and steadily bringing the motor up to and down from working rpms thus eliminating the sudden jump in electricity at startup. Star Maintenance is your goto company whether you require a piston pump or rotary screw design air compressor. We offer installation and service for most any of your compressed air equipment regardless of brand, type, size, or where it was purchased. We also offer installation of the necessary air supply lines for your shop. Our certified technicians will diagnose and repair your current equipment on your schedule and we offer emergency service in the unfortunate event your equipment should malfunction. Our Service Manager’s name is Curt Hutchison, and his direct phone number is 215-768-4827. Feel free to call him with your questions, comments, or concerns. He is always happy to help. 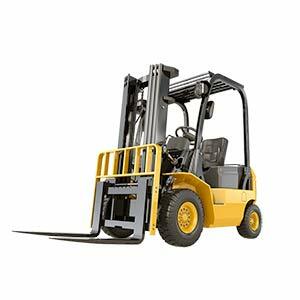 We offer many items for your material handling needs including but not limited to …..pallet racking, steel shelving, wire shelving, part bins, plastic crates, box sealers, platform carts, tool carts, stainless steel carts, hand trucks, dumping carts, tool boxes, rolling ladders, lifting caddys, pallet jacks, storage cabinets, flammable storage, lifting tables, work benches, jib cranes, chain hoists, and dock plates. 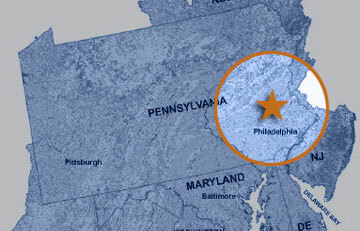 We offer delivery and setup to Bucks, Berks, Lehigh, Montgomery, and some of Philadelphia counties for many of the items we sell and can ship nationwide. if you have any specific material handling needs please call or email our warehouse manager Paul Bean at 267-261-7123 or paul.bean95@yahoo.com he can assist you with your material handling requirements. 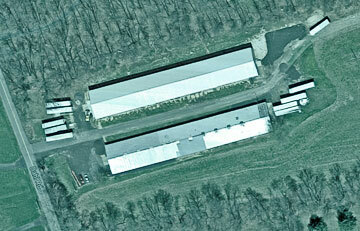 Our base of operation is located in the scenic farm lands of Quakertown Pennsylvania and we would love to have you visit our warehouse at 2715 Dahl Rd, Quakertown, PA 18951. in order to best serve your needs please call Paul Bean to set an appointment to stop on by and look around, you will not be disappointed. Star Maintenance is your one stop shop for all of your warehouse equipment needs, if we do not have what you need we can locate it or supply you with information leading you in the right direction. Often our customers prefer to see the items we have in stock as our inventory is constantly revolving giving us the opportunity to locate the items needed in a short period of time. When you come to our warehouse with a specific item in mind after walking through you may come up with other items that you did not even realize that can make your operations easier and more efficient. A few examples of items we carry are many types of warehouse pallet storage solutions and shelving, industrial drill presses, used air compressors, used fork lifts, industrial band saws, storage totes, machine tooling, bench grinders, sand blasters, farm tractors, down draft hoods, roller and skate wheel gravity conveyors, used electrical supplies, pedestal fans, wall mounted exhaust fans, plastic and steel 55 gallon drums, spill containment systems, banding and strapping carts and tools, stackable steel containers, file cabinets, blue print file cabinets, and office desks! "I didn't know how much inventory you guys actually had..."
These compressors are designed for the needs of many of the machine technologies industry and provide a quiet constant supply of compressed air. This style compressor is available with or without a sound reducing enclosure and is also available with a variable frequency drive that will cut down on your electric bills by slowly and steadily bringing the motor up to and down from working rpms thus eliminating the sudden jump in electricity at startup. Let us assist you with your warehouse equipment needs.